The United States District Court for the Eastern District of Wisconsin has pro bono opportunities available in a number of areas, including prisoner and non-prisoner civil rights cases, Title VII cases, and other discrimination cases. The court also recruits attorneys for the limited purpose of representing civil pro se litigants in mediations, as well as other limited-scope representations. Pro Bono Attorney Panel: If you are interested in federal court pro bono opportunities, you may sign up for the court’s Pro Bono Attorney Panel. For more information about the panel, including how to become a panel member, please visit the Pro Bono Attorney Panel page. Resources for Pro Bono Attorneys: The court has a number of resources available for its Pro Bono Attorney Panel members, including procedural and substantive guides for recruited attorneys. For information about all of the court’s pro bono attorney resources, please visit the Resources for Pro Bono Attorneys page. Pro Bono Fund: The District Court Pro Bono Fund is used for prepayment or reimbursement of out-of-pocket expenses incurred by court-recruited attorneys representing indigents pro bono in civil cases not covered by the Criminal Justice Act. For more information, including the plan regulations and prepayment and reimbursement forms, please visit the Pro Bono Fund page. Pro Bono Attorney Recogniton: The court greatly appreciates the pro bono service of its Pro Bono Attorney Panel members. Please visit Pro Bono Attorney Recognition page for information about the annual Pro Bono Attorney Recognition Luncheon and the Pro Bono Attorney Honor Roll. 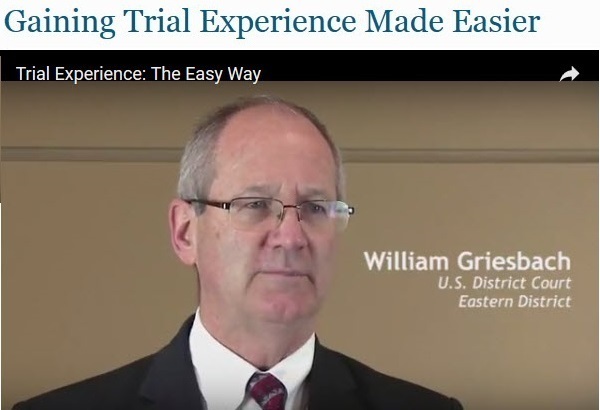 Chief Judge William C. Griesbach discusses the professional growth that can be realized by working on a pro bono case in the Eastern District of Wisconsin. Selecting the photo above will link you to a video presentation produced by the State Bar of Wisconsin. You will be leaving the website of the US District Court - Eastern District of Wisconsin. Any opinions, standards and policies presented on web pages not directly under the control of the United States Courts are the responsibility of the website owner and should not be construed as the position of the Court.